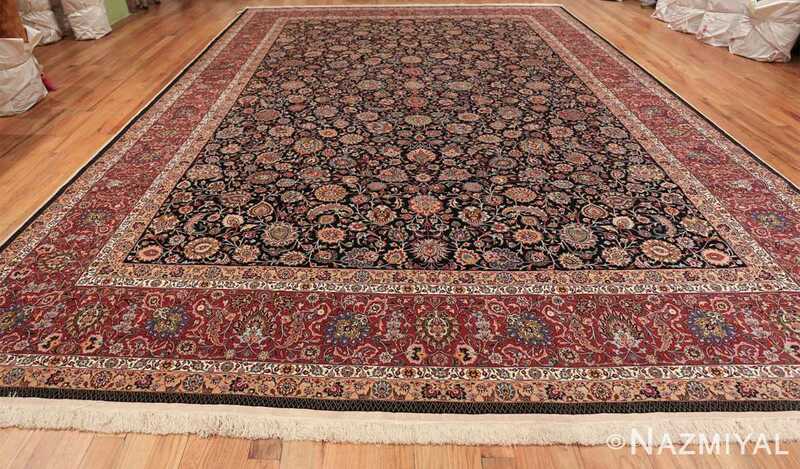 Beautiful And Finely Woven Vintage Floral Silk and Wool Persian Khorassan Rug , Country of Origin / Rug Type: Vintage Persian Rug, Circa Date: Late 20th Century – Rich jewel tone colors grace this magnificent vintage Persian Khorassan rug. It uses warm tones and an allover floral design to bring a sense of elegance that can only be described as stunning. 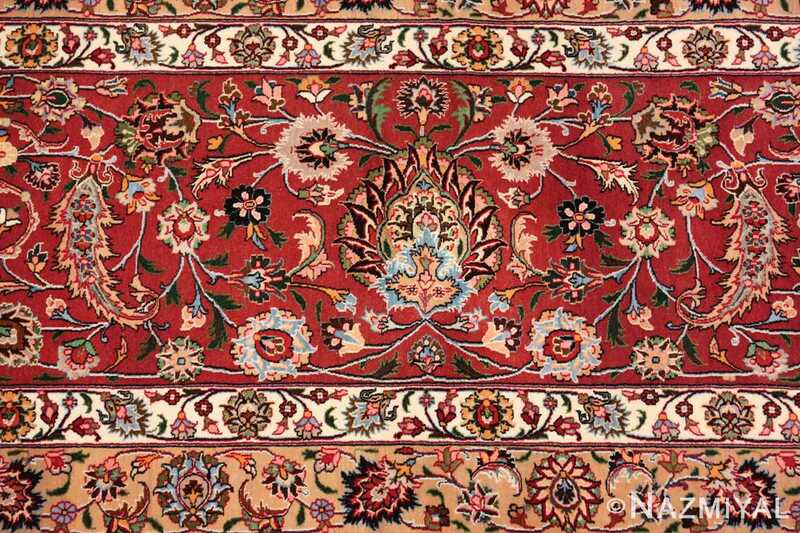 Shades of reds, rusts, creams, corals, light blues and greens are highlighted and pop against the dark background, fusing to create a brilliant work of art. The intricacy of the floral design is not lost on any of the designs. Though this vintage Persian rug features a tremendous amount of floral patterns, attention was paid to each and every flower. 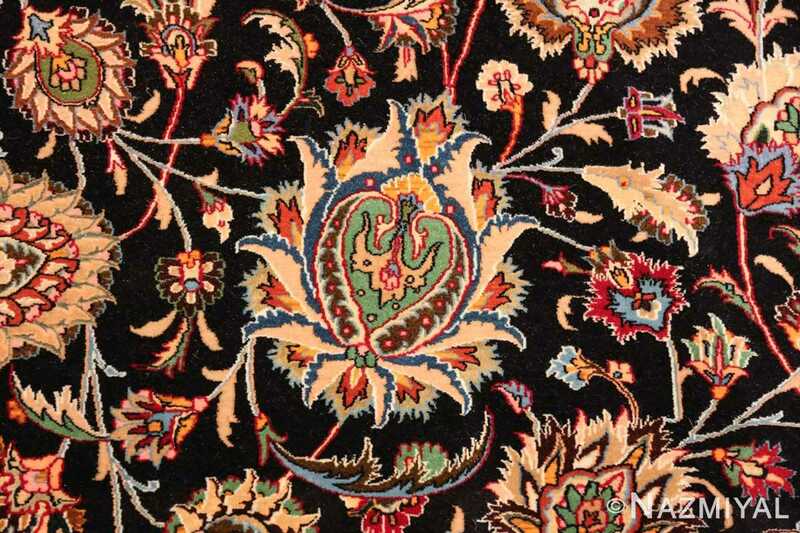 At first glance, this vintage rug seems to have a random floral design. 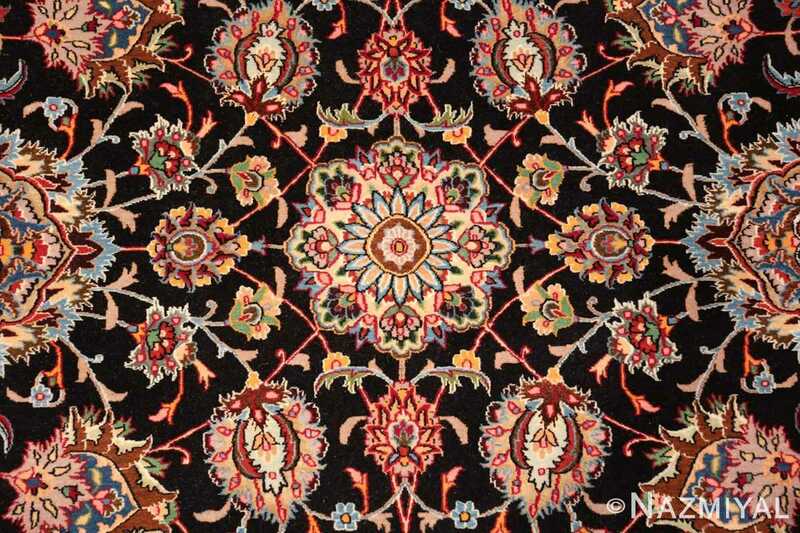 But as you begin to look closer, nothing can be further from the truth. 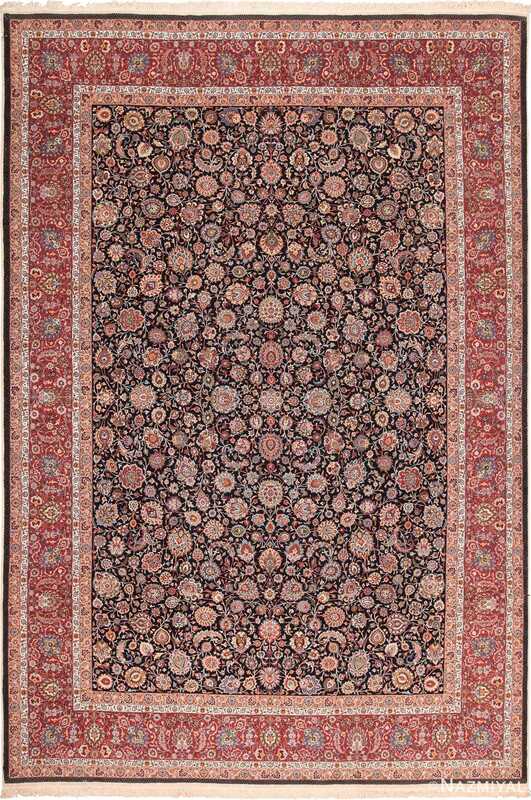 If you step back, and view the silk and wool rug from a distance, you will soon begin to see that is has a central cluster that was formed by four larger flowers that were precisely placed in the center. 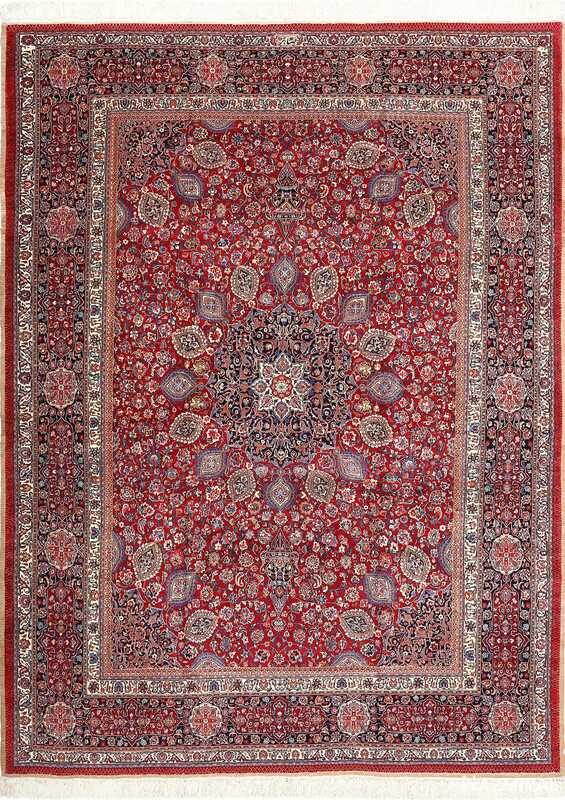 As you continue to gaze at this magnificent silk and wool Persian Khorassan rug, two large circles on either side of the central mandala begin to emerge. As you move from the center outward, smaller shapes soon become apparent, such as several corner motifs that draw the eye to the central floral pattern. 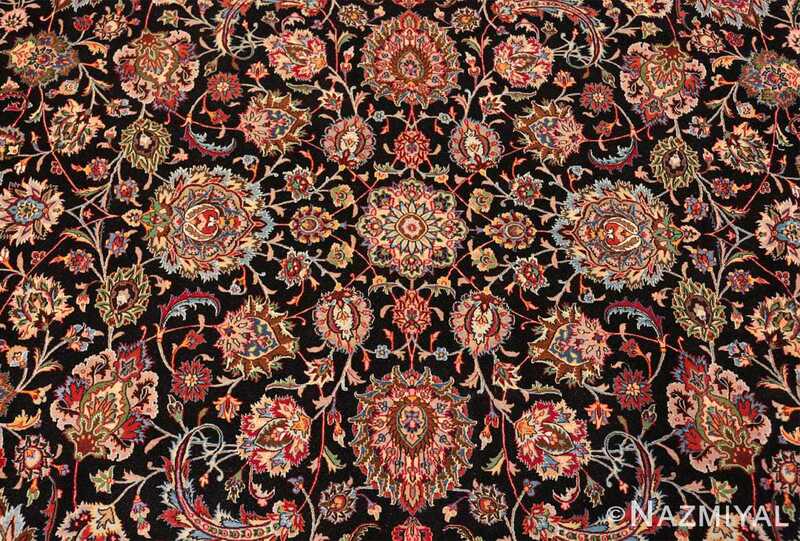 The true artistry of this silk and wool Persian Khorassan rug, is embedded in the fact that the longer you look at it, the more intricate patterns begin to reveal themselves. 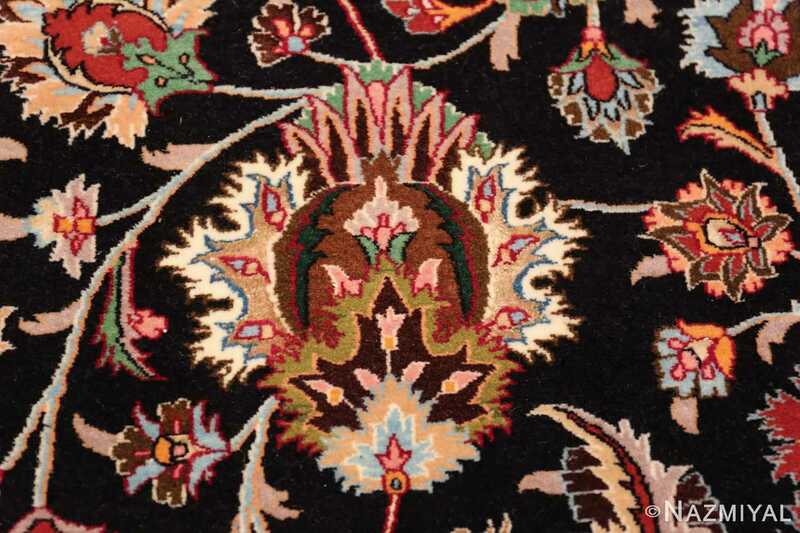 The more you see these patterns, the more you realize just how symmetrical and mirrored the design truly is. 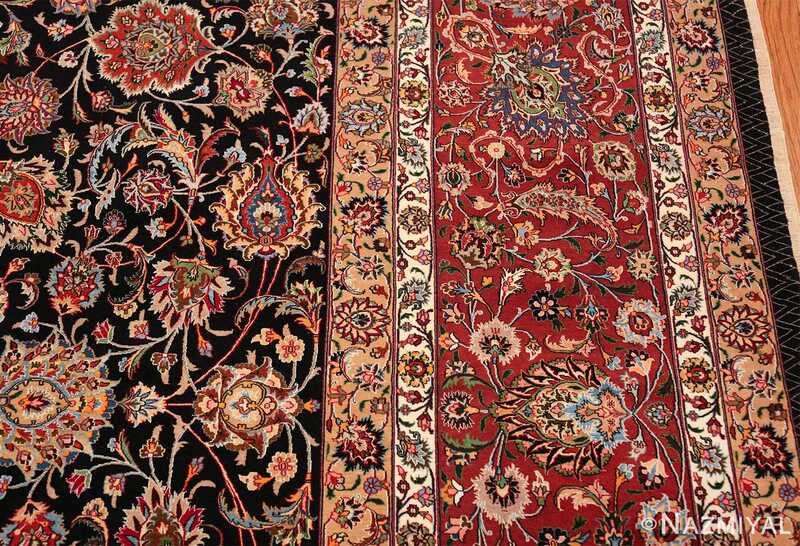 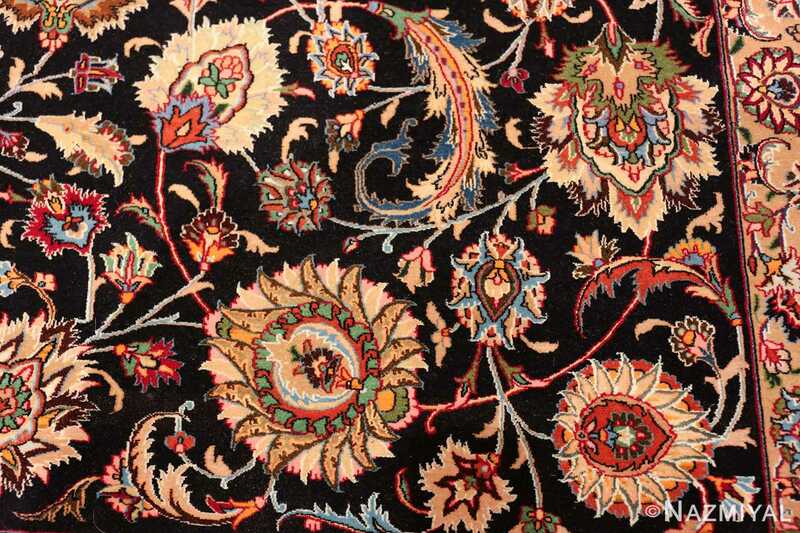 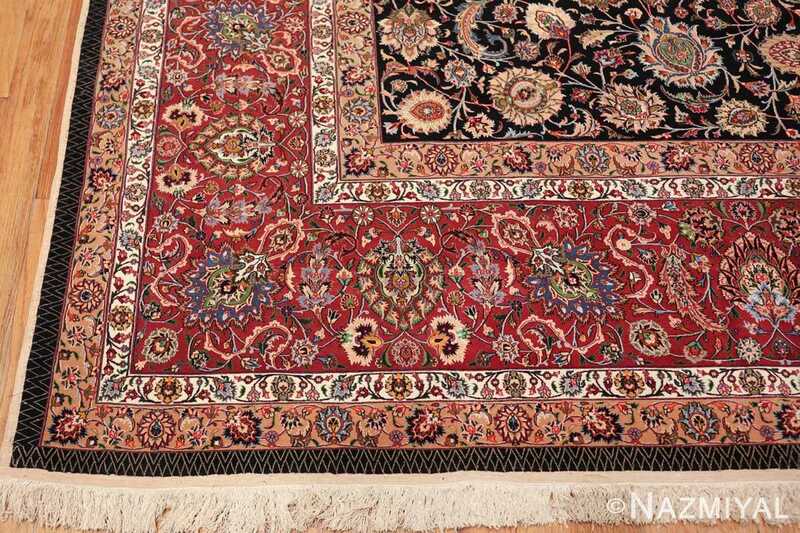 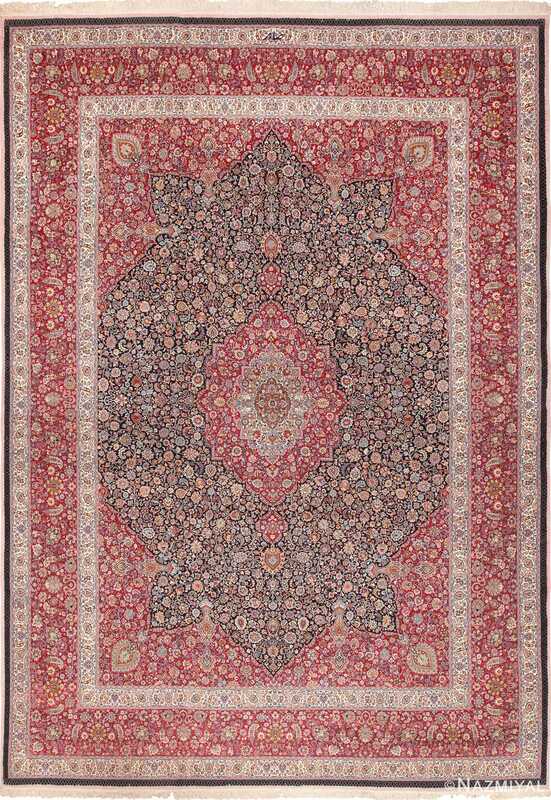 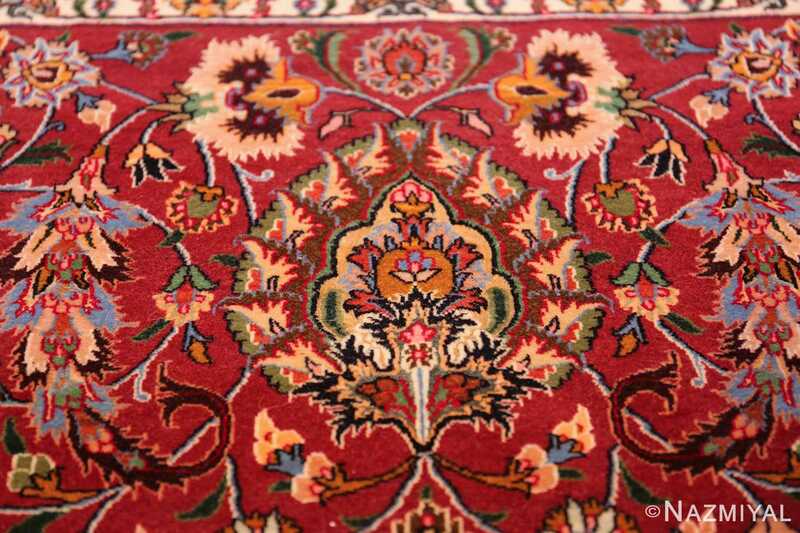 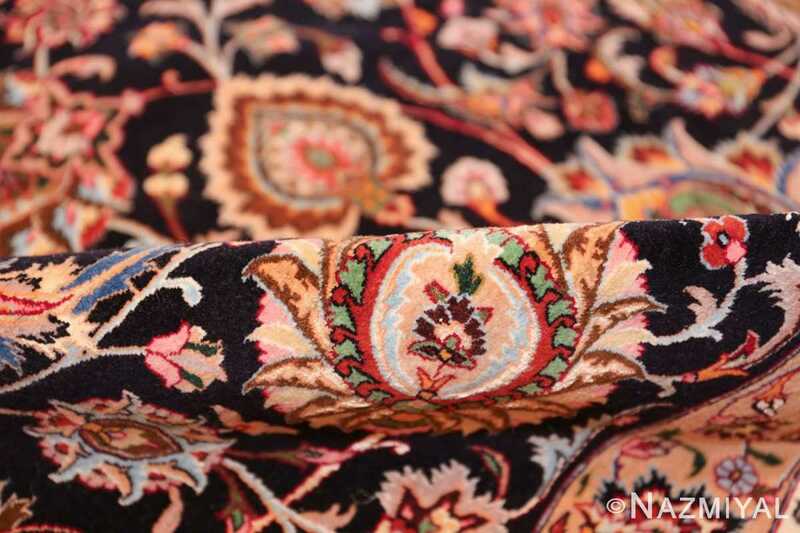 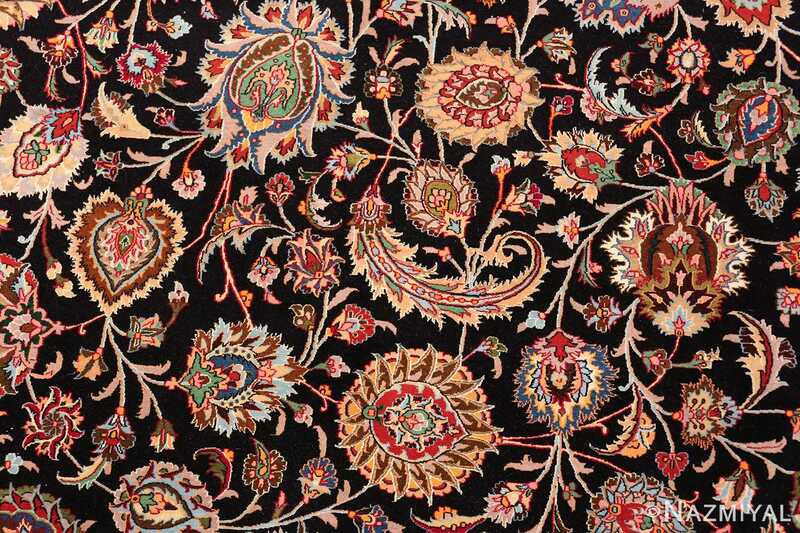 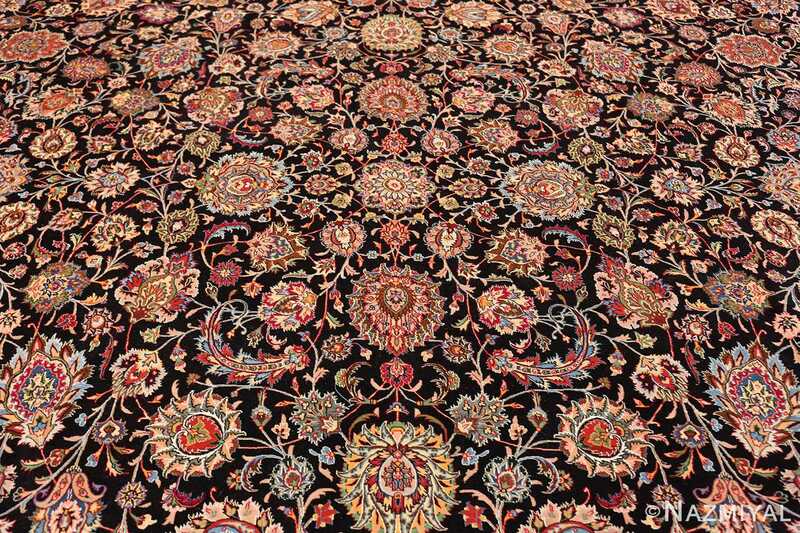 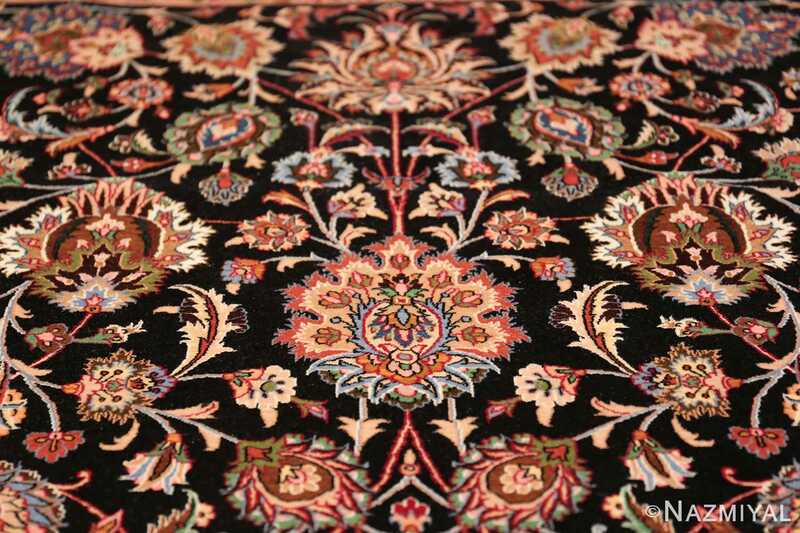 Without a doubt, this is a Persian rug that will add interest to any room’s decor. 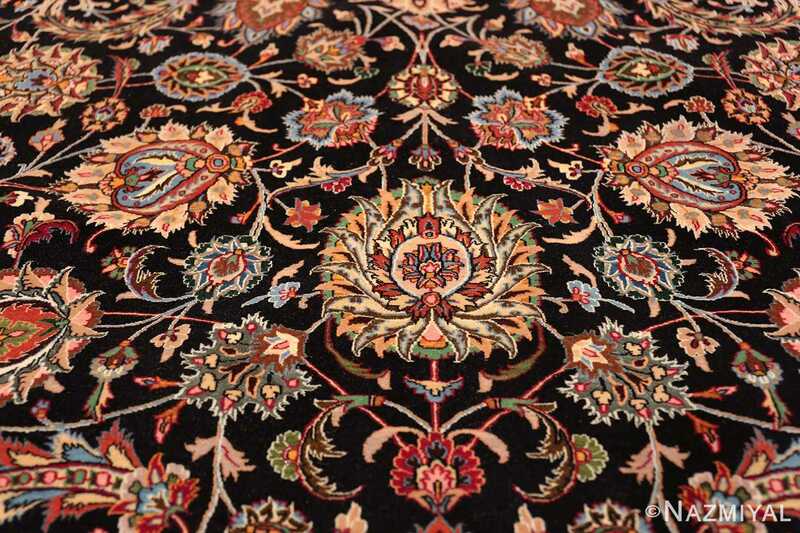 Especially as you begin to discover more and more of the beautiful floral design patterns, hidden within what appears to be a random design at first. 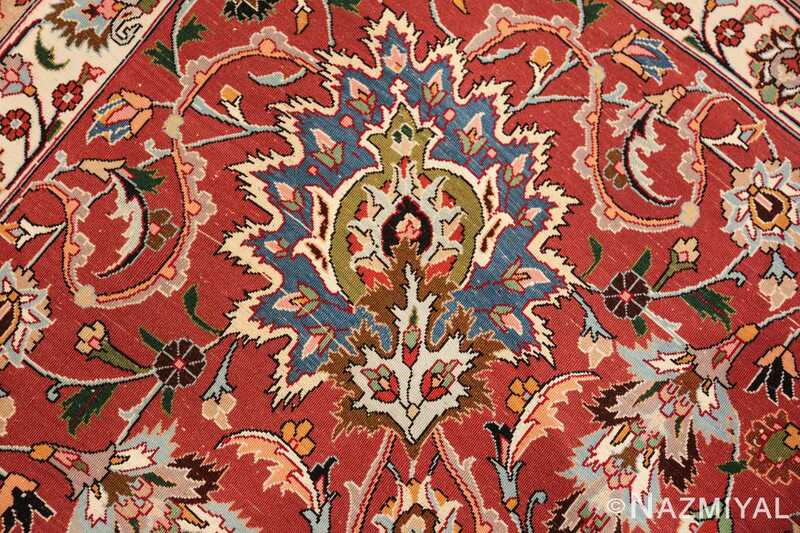 This Persian Khorassan rug has a classic and formal pattern. That said, the richness of the colors and fines of the texture of this breathtaking silk and wool Persian Khorassan rug make it a far more versatile piece. 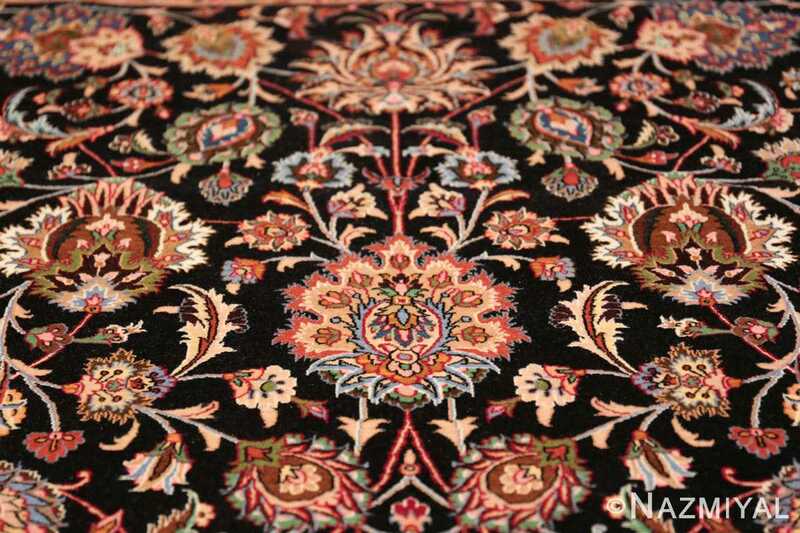 Such artistic pieces have been known to grace the floors of the most sophisticated minimalist and even modern interiors. 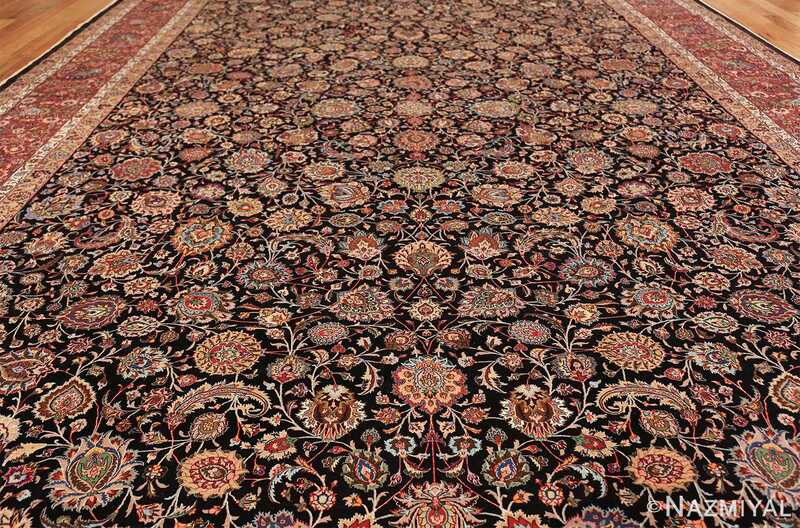 The juxtaposition between classic and modern can result in magnificent unexpected and beautiful interior designs.